Bass Pro Shops catalog is more than a fisherman's dream. 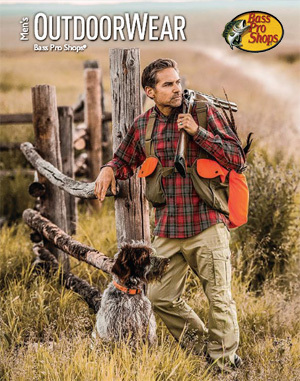 The company has become one of the largest outdoor retailers across the U.S. and Canada, featuring everything from hunting, camping, shooting, boating, to outdoor cooking supplies, and more! Bass Pro Shops catalog serves 75 million sportsmen a year. If you need something for the great outdoors, Bass Pro has it!